‘Always begin with the star!’ That would be the most annoying piece of advice my older brother had to offer me whenever we came to that time of the year when the Christmas tree had to go up. I felt that he took great condescending pleasure in saying this because he knew that only he was tall enough to place the first bulb of the string of Christmas lights on the crown of the tree, just behind the star. Since, I was a vertically challenged runt next to my brother, I was given the demeaning task of decorating the lower portion of the tree. What compounded my frustration was that the Christmas lights which always had to begin at the top, was never long enough to cover the whole length of the tree. The lights would always stop three-quarters way down the tree, leaving ‘my section’ in darkness. Due to the lack of light, my decorations, which I had painstakingly and delicately placed on the tree, were all hidden in the shadows. It would seem that my efforts were always an exercise in futility. I endured the humiliation for years, and awaited the opportunity to finally assume the responsibility of deciding how to place the Christmas lights on the tree. I thought, when I had my way, I would start from the bottom. The time finally arrived when my brother left for overseas. It then fell on me to set up the entire Christmas tree on my own. I was ecstatic at the realisation that I would finally be able to put up the Christmas lights according to my own designs, and not having to listen to the dictates of my brother. It was my time to shine! A star figures prominently in today’s gospel. 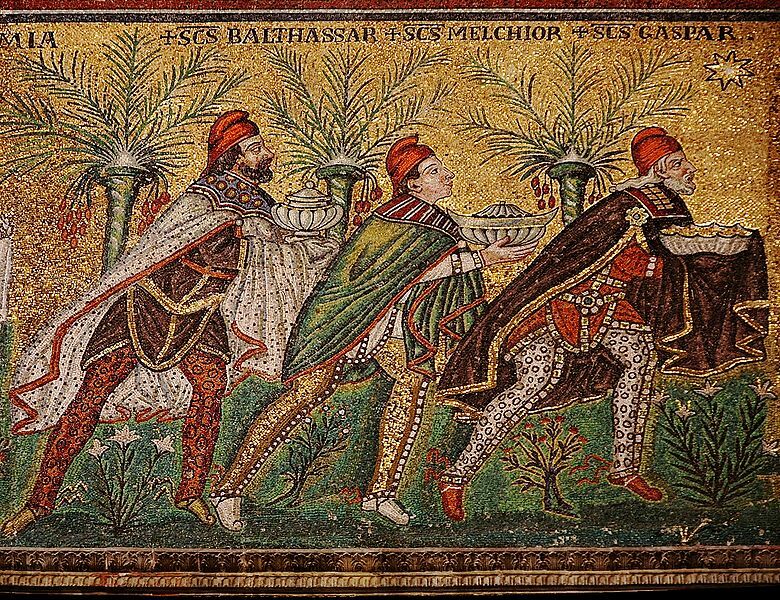 The wise men from the East presented their request before Herod by saying that they “saw His star as it rose and have come to do Him homage.” What was this ‘star’ that had stirred their hearts and compelled them to leave their homeland and travelled to far distant regions? Over the centuries, astronomers have tried to find an actual star of Bethlehem. Some have said that the star was a comet that appeared in 5 B.C. (and found in Chinese records). Others suggested a planetary conjunction of Jupiter and Saturn. Still others suggest a supernova. No one knows for certain if the star was an actual astronomical event. The Star of Bethlehem could very well have been one of these. But it isn’t so much about something seen in the sky as it is about something that was seen on earth. Or rather, ‘someone’ who was seen on earth — and who will be seen here again. And He is the real “star” of Bethlehem: Jesus. For those who remain fixated on solving the mystery of the celestial star may have gotten their hands on a red herring. That star is definitely not the point of the story. In the words of Pope Emeritus Benedict, “it is not the star that determines the child’s destiny, it is the child that directs the star.” Our Epiphany story is not about the appearance of a celestial star so much as it is about the appearance of the presence and glory of God, revealed in the person of Jesus Christ. This is what the word ‘epiphany’ implies – a manifestation. Literally, it means “shine on” or “show forth.” Among the Eastern Christians, the word leaves no room for ambiguity – it is a theophany – the Child is a manifestation of God. St Ambrose, the great Doctor of the Church and mentor of St Augustine, wrote this about the star, “The Wise Men make a gift of their treasures. Do you want to know what an excellent honour they received? The star was visible only to them; where Herod lived it was invisible; where Jesus lay, it once again became visible and pointed out the way. So it is that this star is also the way, Christ's way; for Christ, in the mystery of the Incarnation, is the star, because “a star shall come forth from Jacob, and a sceptre shall rise out of Israel” (Num 24:17). Therefore, wherever Christ is, the star is too, for He is ‘the bright morning star’ (Rev 22:16). With His light, then, He points to himself” (Comment on Luke II, 45). Today, the Church invites us to fix our vision on that illuminating star, not a thing but a person; it is Christ who is our “bright morning star.” (Rev 22:16) The morning star, which is actually the planet Venus, derives its name from the fact that it appears before sunrise. On a long dark night, the appearance of the morning star means daybreak is imminent. This is exactly what Christ does. He is the light shining in the darkness, announcing the coming kingdom of God while the world still groans under the curse of the Fall. He is the first to be resurrected—the ‘firstborn of the dead’ as Colossians 1:18 puts it. For thousands of years mariners and travellers, just like the wise men in our story, have used the stars as a guide; as a point of reference. Likewise, Christ, the bright and morning star is our true point of reference. If you are lost, you just need to look at Him. If you are unclear about the direction of your life, just turn to Him. Notice that He is not “a” point of reference. He is “the” point of reference. He is not just a star among many stars; He is unique. The trouble is that on a clear night, we are bombarded with a vision of countless constellations of stars in the sky; it's hard to tell which one is the real star of the story. So just like the infamous Herod of our story, many are consumed with their own self-importance and they actually believe that they are the ‘star,’ and that the light of another star would never be tolerated. Yes, there can only be one star, and He is Christ Our Lord. It spells certain disaster, whenever one attempts to usurp His limelight. Herod wasn’t the first with delusions of grandeur. The first to suffer from this puffed-up feeling of self-importance was Satan, also described in Scriptures as the Morning Star. Satan may be the brightest morning star among the celestial beings, but he is only a poor imitation of the one true bright morning star, Jesus Christ, the light of the world. It is wise to remember that Satan’s and Herod’s delusions would be the cause of their downfall. Blaise Pascal warns us that this is what happens when God is no longer the point of reference in our lives, “If (people) turn away from God, one of two things can happen. They will think they are gods and go mad, or turn to carnality and become animals”. Our Holy Father, Pope Francis, gives us a beautiful piece of advice so as not to fall into this trap of self-delusion. 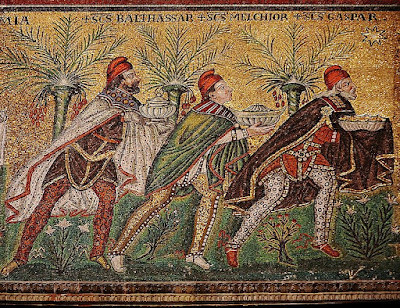 “The shepherds and the Magi teach us that to find Jesus we must know how to look up to the heavens, and not to be turned in upon ourselves, on our own selfishness.” Rather, we must “open our hearts and minds to God, Who always surprises us, know how to welcome His messages, and respond promptly and generously.” So let us “look up to the heavens,” and see the real star of Bethlehem. If we ever get lost, there is always this star to remind us of our destination. Always remember, it doesn’t begin with us, or with our plans, or with our self interests. It always begins with the Star.